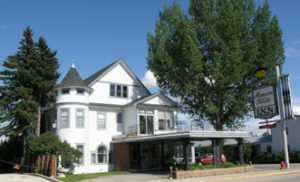 Our live meetings are held in the library in Buffalo, Wyoming. Sandplay process is done in Rose Harriet’s office. Buffalo is a beautiful, small town at the foot of the Big Horn Mountains. We offer a peaceful, friendly, historic, and safe site, which will enhance the learning process. 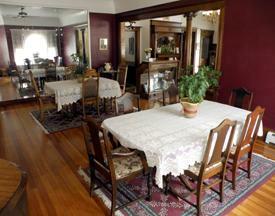 We suggest that you make bookings at the historic Mansion House Inn (www.mansionhouseinn.com). Mention your participation in the Sandplay training to get our discounted rate. Accommodations include a fresh, hot breakfast. It is walking distance to everything in Buffalo. 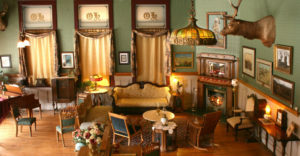 Another nearby option is the historic Occidental Hotel (www.occidentalwyoming.com). Buffalo has many other accommodations, but they are not as close to the training venue as these two locations. 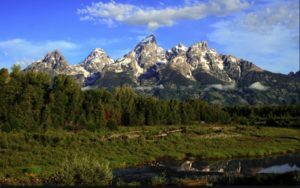 Mountain camping and established in-town campgrounds are also available. Fly into either Gillette or Casper, Wyoming, and we will pick you up.